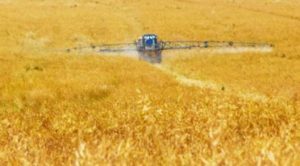 Hosokawa supplies complete systems for the manufacturer of insect spray, dust or granules. With our Hosokawa ALPINE fine impact mill UPZ, we can generally achieve particles size of ranges between approx. 99% < 40 and 75 micron. While particle sizes demanded for insect sprays range between 97% and 99.99% < 10 micron or also 99% < 40 micron, and are achieved with Hosokawa/Alpine fluidized bed opposed jet mill AFG. These mills set new trends in the production of pesticides. The end products range between 10 and 40 micron in size and are free from oversized particles. The products are extremely homogeneous and display excellent suspensions properties. The problem common when mechanical impact mills are used i.e. the spalling-off of deposits, is unknown with fluidized bed opposed jet mills. This means that elaborate and expensive safety screening steps are no longer required in modern pesticides production systems configured with fluidized bed opposed jet mills. 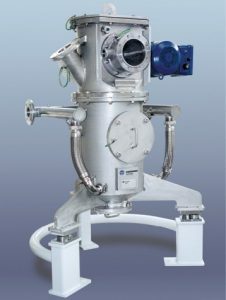 The AFG is capable of grinding complex pesticides formulations with active substance contents up to 80%. The temperature rise in the AFG during grinding is negligible, meaning that even products with low melting points can be processed without problem. In special cases, it is even possible to grind pure active substances with the AFG. This type of processing has the big advantage that the carrier substances, which are already of end-product fineness, do not need to be passed through the mill system, but are rather mixed in at the end of the process. The impact mills that were often employed in the past for grinding pesticides are much less suitable because of the temperature rising during grinding.